Tiger Spirit? It’s on the House! Alyssa LeBlanc, student worker, has been working at the W.A. Callegari Environmental Center while pursuing a speech therapy degree. Photo by Andrea Laborde Barbier. The Breaking New Ground campaign was a year-long public-private fundraising effort to support the renovation of Patrick F. Taylor Hall and construction of a chemical engineering addition. 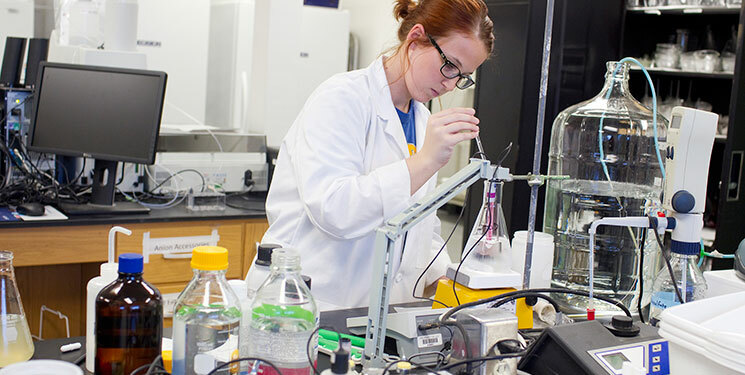 The effort is poised to help LSU increase Louisiana’s engineering workforce by nearly 50 percent in the next five years. The W.A. Callegari Environmental Center was established in 1999 and is the AgCenter’s research and training facility for water and air quality and composting organic waste. Located on an 8-acre site, the center serves researchers, agriculture producers, private communities, government agencies, and the general public in the areas of composting, water quality, air quality and bioenergy. Bill said he was drawn to the idea of the center because he had developed a business based in the same field of water systems, wastewater systems and other environmental issues. “[The center] was an opportunity for me to give back and establish something that could help not just the university, but the entire state,” he explained. The Callegaris, both natives of Cottonport, Louisiana, have also given to the Lod Cook Alumni Center and actively participate in numerous programs across campus, with Bill named to the LSU Alumni Hall of Distinction and the College of Engineering Hall of Distinction. Their love for LSU has spread throughout three generations: they have two sons and two grandsons who have attended the university. The center named in Bill’s honor, and his and Ann’s multiple other gifts, celebrate how fondly Bill remembers his time at LSU. “I just want to make it possible for other kids to enjoy and benefit from an LSU education as I was able to do,” he said of the support.